Over the past few weeks we have planned, designed and labelled a model for our very own bug catcher. 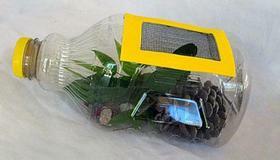 The next step will be gathering materials that we need and writing a procedure to make our bug catcher. Over the next 2 weeks, we are asking the children to bring in any materials that might be useful for the construction of their own design. Please talk to your child at home about what they would like to collect and bring into school by Friday 22nd June. Any materials that are specifically collected for your child’s own design should be placed in a plastic bag with their name on it. Any materials to be shared can be placed in a bag labelled shared materials. We will be putting our designs together from 11:30am – 12:30pm on Friday 22nd June. During this time, we are seeking the expertise of a few parent helpers to assist us with construction. If you would like to come along and help please email me or let me know in the classroom. Please note that Unit Four in your child’s Think Mental's book is to be completed by next Friday 22nd June (Week 8). Thank you to parents for marking the work as you go and for giving your children feedback as they work through these tasks. From Term 3 onward we will be completing one unit per week. Sight words remain as an important part of our homework program in Year One. We aim to test each child regularly on the retention (both reading and spelling) of their sight words. Each time your child is tested, we will send home a sheet that outlines words for revision. Please aim to keep up regular practice with these words. It has been so pleasing to see such improvement in the children's reading levels this term and it is really evident that many of the students are recognising their sight words due to continued practice at home and at school. Thank you for your support with this program. We have just completed a Maths unit on Time. 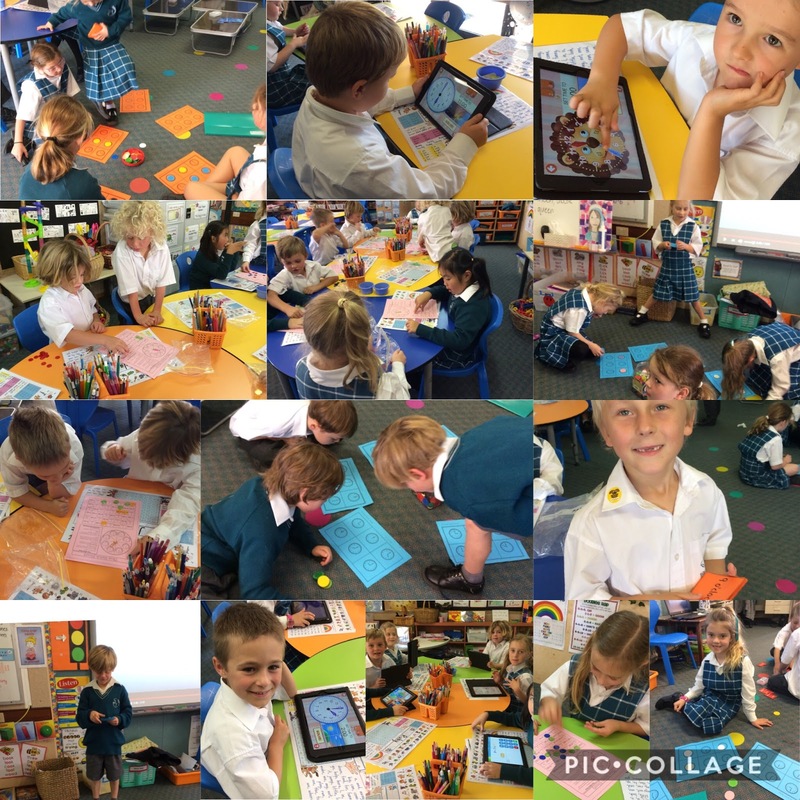 We have been immersed in reading and writing analogue and digital times and playing a range of games, as well as apps on the ipads that help us to recognise 'o'clock' and 'half past' time. I have been impressed that many of the children have been wanting to take their learning further by having a go at 'quarter past' and 'quarter to', as well as telling time to the nearest five minutes! Many of the children have been wearing watches to school which has really helped keep them motivated to learn more about time. See the photos below for what we have been doing.